For the past 4 months and for who knows how many more, myself, among many other dedicated volunteers, have devoted numerous hours caring for 130+ birds confiscated from a facility claiming to be a “Rescue”. A few of us have been there for these birds since the day of the raid and I can tell you, this was no rescue. 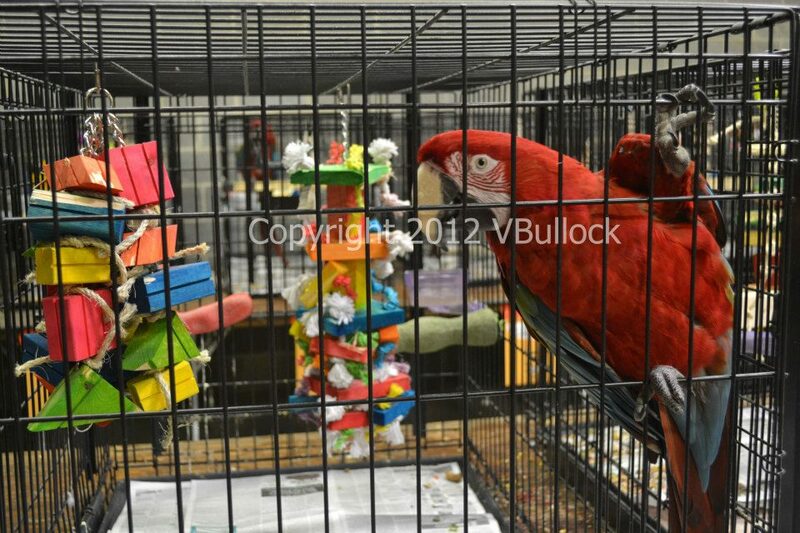 What came into the triage unit on May 10th 2012 would bring any good bird lover to tears. You could smell their pain as the odor of ammonia permeated from their feathers. Years of breathing stale urine tainted air affected their lungs. Wheezing, gurgling, blocked sinus cavities were common. 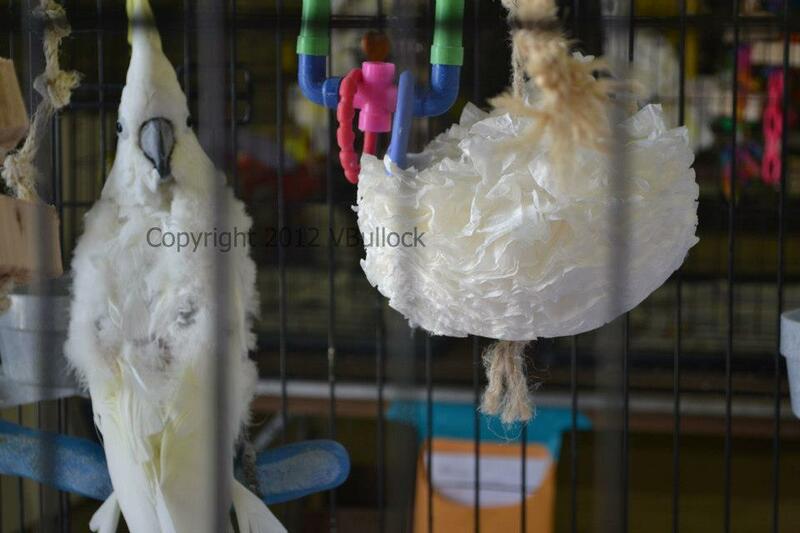 Some birds had tumors, lesions, overgrown nails, and scissor beak. There were birds emaciated while others were bloated from various stages of organ diseases. I will never forget the one lone parakeet with what looked like a tumor, half the size of his little body, protruding from his lower half. So large and heavy that he would barely move for if he did, it would roughly drag across anything he encountered and so often, he sat motionless, staring into his mirror. I can’t imagine the pain this little guy endured and who knows for how long. No, this was not a safe haven for exotic birds. This was nothing more than a house of painful death. I sometimes have a hard time comparing in my mind if the abusive situations that this place claimed some of these birds came from was worse than what they endured while in the care of Wings Over the Rainbow. The triage and shelter set-up worked like a well-oiled machine with 3 care units, Isolation, Quarantine and General Population. The sickest birds were assessed first and the non-critical next. 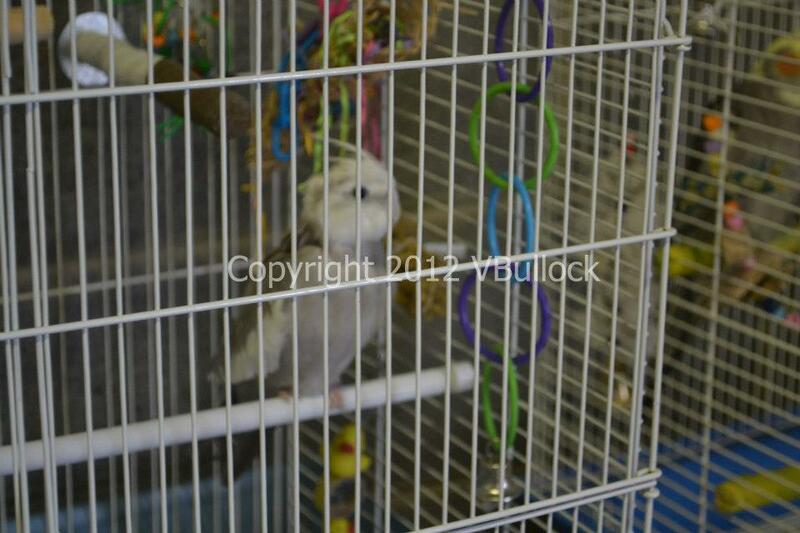 Sadly on this day, many of the birds fell into the critical status and so, many were placed in ISO or Quarantine. I can’t tell you the number of times you could hear throughout the shelter “I’m so sorry” or the tears shed by so many people that day but on this day, so began a new life for these creatures. Once the birds were assessed they were placed into clean cages and provided food and water untainted with the rodent feces and urine that plagued their food for so long given to them by their “Savior” at the “Rescue”. Yes, Deb Shell fails to tell her followers that the food she fed the “Rescue” birds and sold to the public to everyday bird owners tested positive for rodent urine and feces. If you were one of the few WOTR supporters who showed up in court, you would know this and for those few, you have been asked to please keep that to yourself. What a disservice you do to these birds you claim to care so much for. 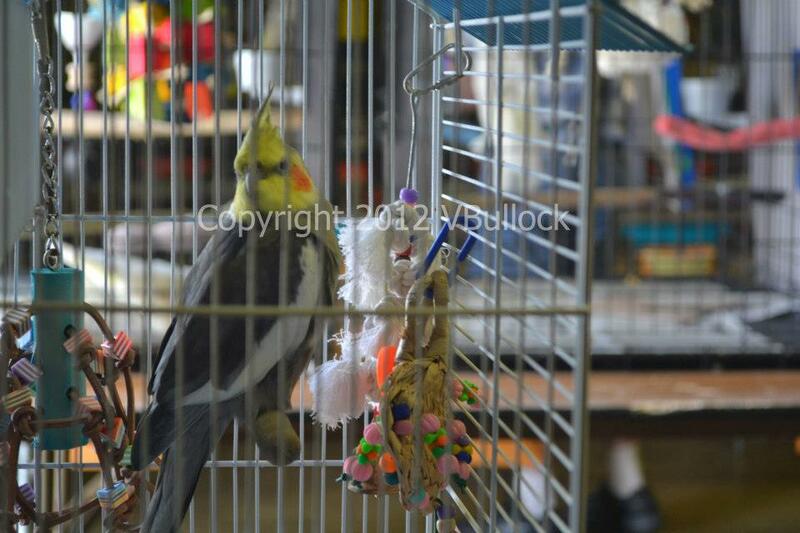 The following day was the first of our still continuing ritual of twice a day cage cleaning, the feeding of a healthy diet including fresh fruits and vegetables also twice a day and placement and replacement of so many brightly textured toys and perches. The Vet Staff providing daily care for all the birds which again continues to this day. Then there is the snuggles, cuddles, kisses, baths, wing and head scratches, and songs and dances that so many of us do with our own birds bestowed upon these creatures and the shelter was alight with the sound of truly rescued birds. So many of them I have grown fond of and I have yet to see many truly “aggressive” birds from all of this. I have seen birds that once cowered in the back of their cage come forth and greet the volunteers with vigor. 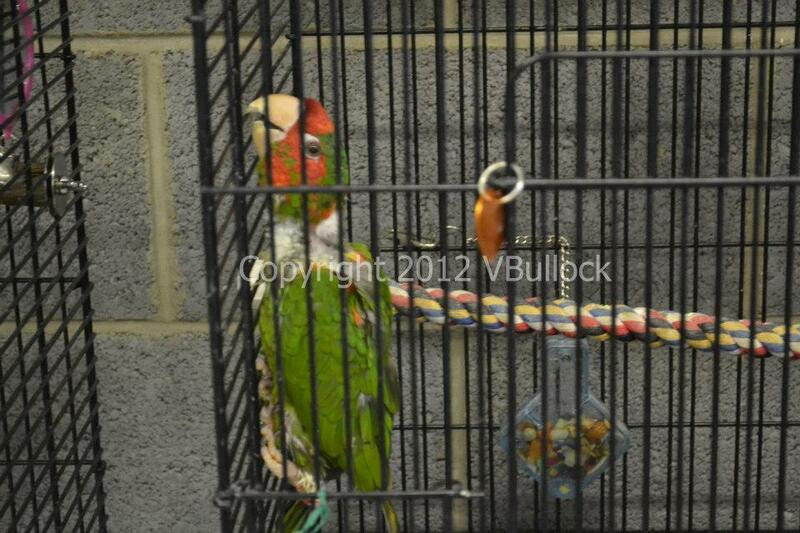 I have seen birds with who barely had the strength to hold their head up, now can clamber up the side of their cage. I have seen much new feather growth on so many you wouldn’t believe they were the same birds. I have seen bird and human antics of all silly kinds and I have seen true compassion for these birds from the many people who care for them. WOTR has accepted no fault in anything of this. 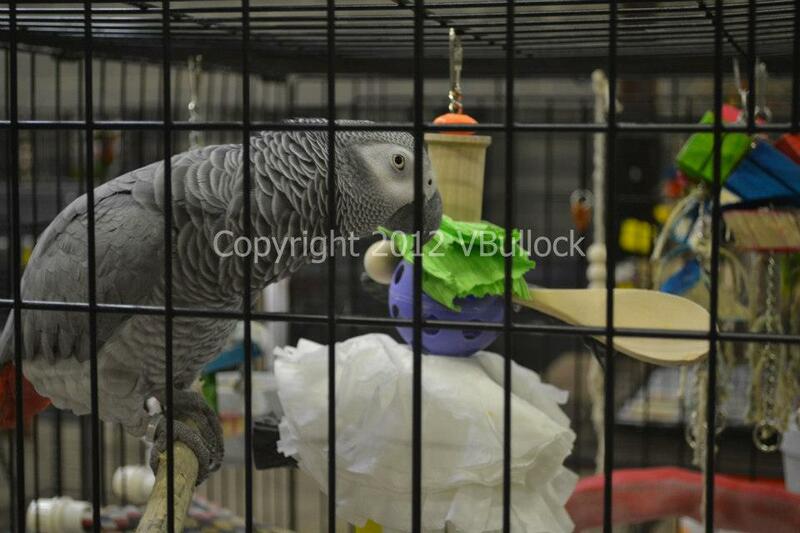 They claim the birds were fed proper diets, provided proper vet care and loved. Living among mice and roaches…being fed tainted food… allowed to endure painful tumors and lesions, struggling to breathe on a daily basis, swamped with various infections, walking and perching a painful task…that isn’t being loved. That is failure of the biggest kind. Out of something bad they say there is always good. I must agree. I have seen a Humane Agent perform her job duties far as expected from someone in that position of authority and never falter. I have seen again the utmost dedication and devotion for animals from an admired Veterinarian and Vet Technician. I’ve seen acquaintances grow into tight friendships and new friendships formed. I’ve seen so much good from the Avian Community arise from this tragedy. 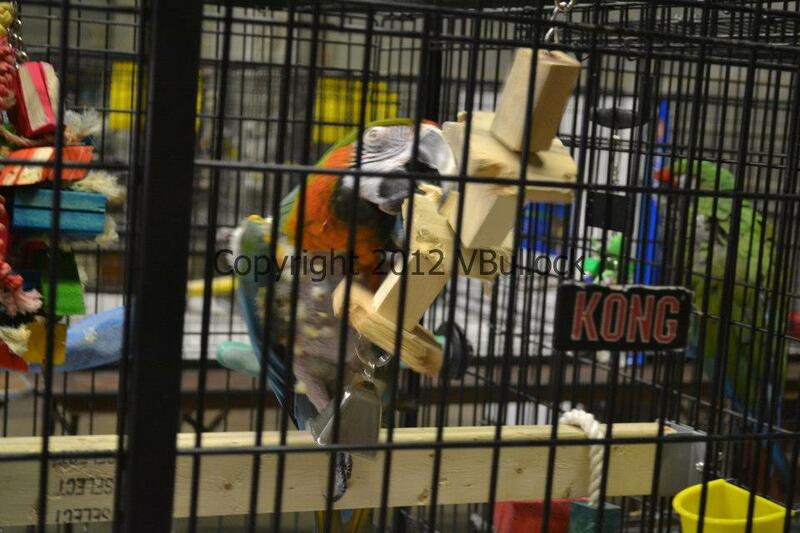 Groups like Parrot Posse, Parrot Troopers, Parrot Toy Angels and many other members of the Avian Community banding together to ensure these birds received everything necessary to sustain a happy and healthy life. There are the WOTR supporters who shout “Where were you?” and to them I say I have seen first-hand the conditions! I have helped! I have raised money for them! 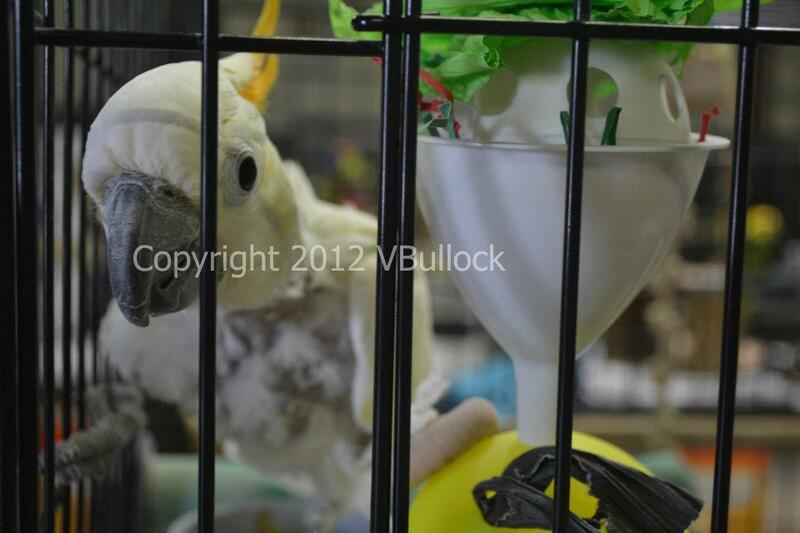 I have offered to provide volunteers to come clean cages! And I still have some of the emails to prove it! But as with an addict, there comes a time when you have to say enough and let someone hit rock bottom. I get you want to believe in Deb but I’ll ask you to do this before aligning yourself once again. Ask her for the HS citations she received months before the raid, asking her to make certain changes. If those did not exist, the warrant wouldn’t have been granted and the warrant wouldn’t have been upheld. Ask her why she really pled guilty? Ask her what exactly her diversion agreement is. 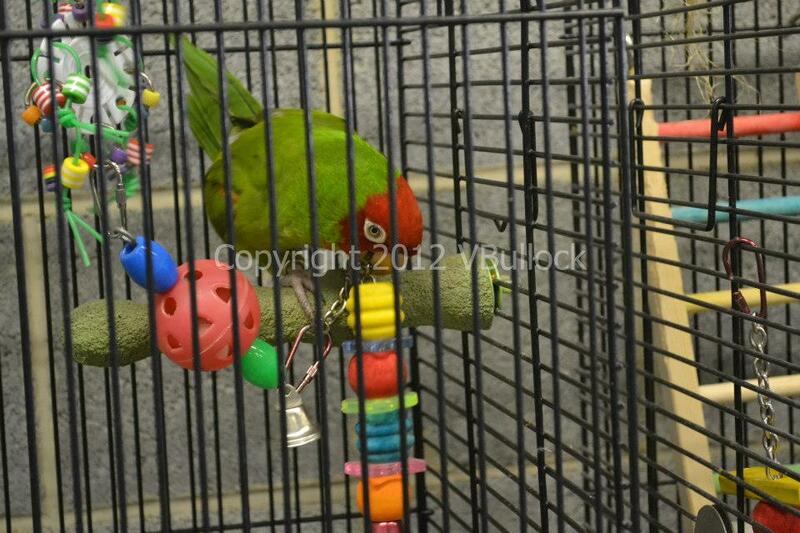 Ask her for the copies of intake, vet and adoption records for the birds for the last few years. Ask her for copies of the donations sent in for Casey and the vet records and you compare them. Ask her if their lawyers were threatening to sue us, the volunteers who devote time every week to insuring these birds are cared for, for monetary compensation. You tell me what kind of sense that makes. Ask her what she spent $130k in 2010 on and why she didn’t use the money to move to a different location if the landlord refused to maintain the building. Better yet, ask to see the copy of her lease agreement. The one that mentions the landlord is not responsible for any rodent or bug problems. Ask to see the necropsy results and I mean the actual documents, not some typed post on FB. As someone who vows allegiance to Deb, you have the right to see these things and have these questions answered truthfully. If she or any other mouthpiece for WOTR refuses to provide this information but instead mouth it to you, you really need to take a good look at that and wonder why. And then, just order a copy of any court proceedings yourself. There are the WOTR personnel and supporters who accuse me and others of “having a part” in the seizure of the birds in their care. None of us own a piece of that failure. It lies squarely on Deborah Shell, the Board Members of Wings Over the Rainbow and the WOTR volunteers who did nothing. Whether you think I or others are right or wrong in “our part”, we were asked to help care for the birds from the onset and that was “our part”. And that’s what we will continue to do until all are placed. I have no regrets and I know the other dedicated volunteers don’t either. 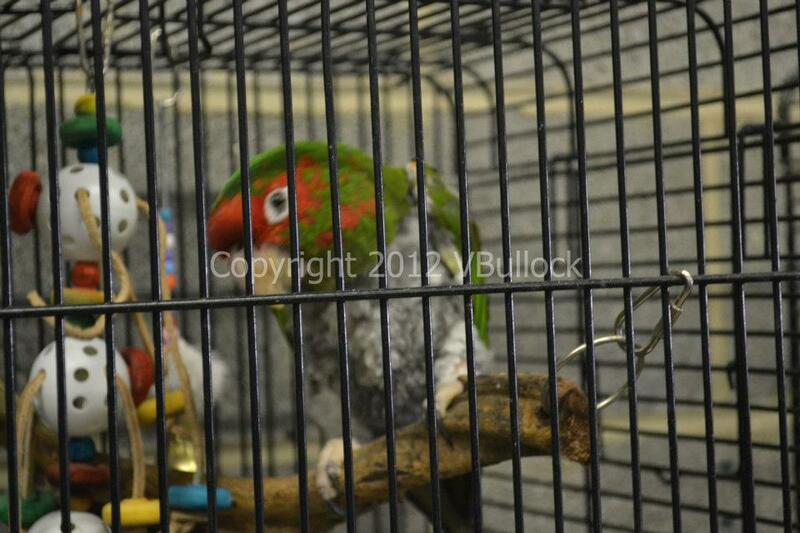 We insured the birds were provided the care so many nay-sayers said they wouldn’t receive and to fault us for that shows shameful neglect and ignorance. To blame the Greater Dayton Humane Society for the animal abuse and neglect they found at WOTR and that Deborah Shell pled guilty to, is shameful. Am I happy that a parrot rescue was shut down? Absolutely not! There aren’t enough of these in Ohio, let alone across the country. My reason, like many others involved, was to do it for the birds. Nothing more, nothing less and I would do it all over again. And to the lone parakeet and the 130+ birds I’ve cared for, I am sorry this wasn’t done sooner. Thank you Vicki for all did to help these fellas and thank you for providing a detailed firsthand account of what went on with this sad situation. I find it heartbreaking that anyone can still find fault in those that have stepped to the plate to help with physical labor, donations of food, sending of toys and monetary help while these birds have been in the care of GDHS. Also, one needs to look at those people who have stood next to Deb Shell and have enabled her. Look at them with a critical eye for they obviously do not have the bird’s best interests at heart. They are the people who seek attention through a drama filled narrative, one that is not based in fact but rather in emotion and ego. Thanks again Vicki. This story makes me so very sad. I did not really know anything about this since I am pretty new to the bird community. It breaks my heart, I wish I could save every animal out there, but I know my limitations. 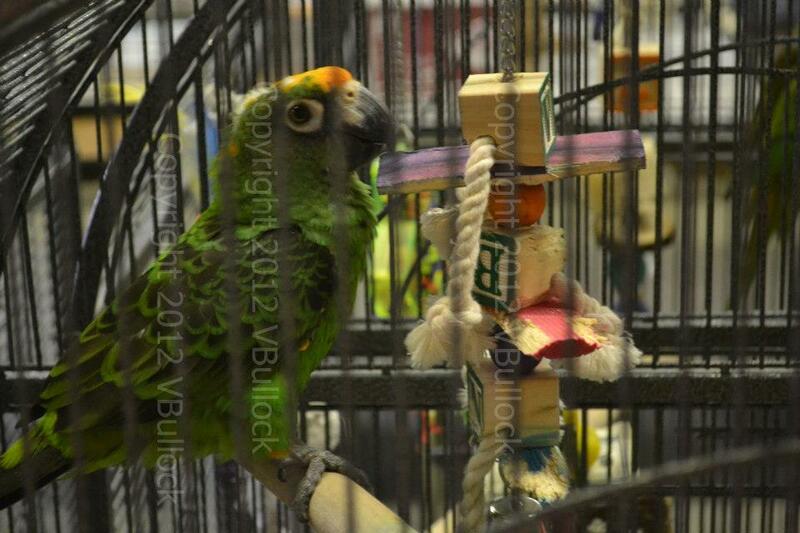 I am so thankful that these birds now have someone to care for them and have their best interest in mind and deed. Please send them my love and scritchies. Very well said. The truth is out there. You just have to want to see it. By just taking the word of someone or a group of people without seeing the proof yourself is just the blind leading the blind. Thank you so much for what you and the others have done for these wonderful creatures. And I am sure you can see it in their eyes also how much they appreciate what you do. If things were so great for the birds with the hsgd, then why did Danny (scarlett macaw) rip his tail feathers out?He ripped EVERY tail feather out. And why did a bird that never plucked previously begin plucking? That’s two out of seven birds that I saw of the 137, over 20% of the ones I saw showing distress at being away from wotr and shell. Ten birds dead in four months, four during handling by the “experts” on day one and one after surgery due to a nicked bowel…surgery for a little fatty tumor. There are always two sides to the story. Not to mention that the law created to be used against drug dealers was used to legally steal the birds. Emotional blackmail was employed liberally against the founder in order to get a conviction. A woman trying to get her birds back is being charged $16 per day for board since her birds were taken…and she was in court on June 10 trying to get her birds. 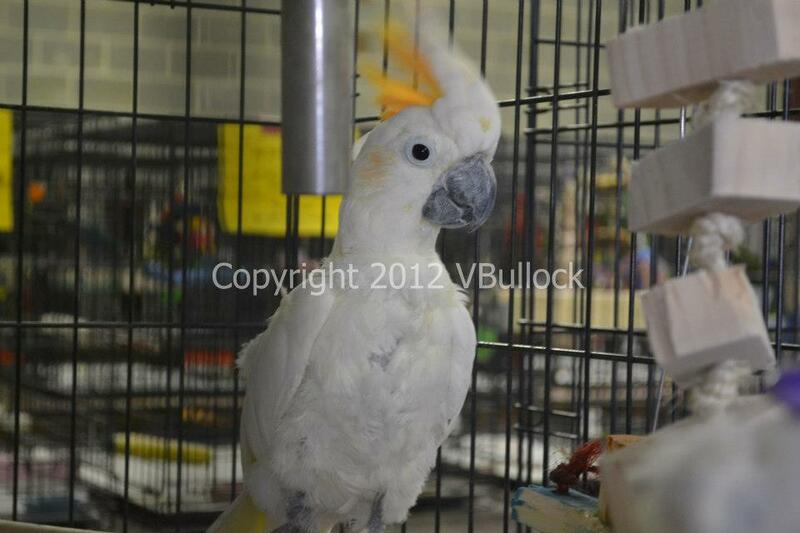 $14,000 for five birds! ABUSE OF POWER was rampant in this case. And I did hear something about someone being addicted to pain pills so the drug dealer law just may fit! I have notes taken from viewing the necropsy information on six birds that died, most dying on May 10 and one on May 15. I’m going from memory as I right. Four died during handling. Since then, four more birds have died but I have not seen the necropsy results on the last four. You can cast your dispersions and innuendo. But the fact is more birds died in four months under the care of the HSGD than in four years under the care of Wings. As far as your insinuations over pain killer addiction and “drug dealer”…you have no evidence to make such allegations and no charges filed to support you. Yes there were pain pills taken from there for someone who has Crohn’s Disease and complications following two major abdominal surgeries. You are flirting with libel. Hide behind your nickname to make your sly derogatory utterances. This whole case was full of ridiculous insinuations that had no basis in fact. By the way, does it matter whether it was four birds that died during handling by the HS “experts” or that six died. The point is they died during handling by the HS “experts.” The point is that ten birds died under the care of HSGD. The point is that not all birds did well under their care including Danny the scarlett macaw who ripped out his tail in the past four months. The point is, you all are not saints. You got a some sinner in you as well. So stop being the “pot calling the kettle black” and putting yourselves high on a pedestal. Deb wasn’t horrible as you make her out to be and you certainly weren’t as heroic as you all pretend to be. You say Wings is innocent, but you have shown nothing to prove your case. Ms. Shell was charged with animal abuse and cruelty and she did plead guilty to several counts.Whether the birds would’ve been returned or not you would think she wouldn’t want her good community service name ruined by pleading guilty. I saw the conditions of those birds on May 10th and those were far from healthy birds brought in. I know first hand of the rampant health issues in those birds yet I’ve also seen some in which their health has improved. Chalk that up to proper avian vet care and a healthy diet. “The point is” the birds were seized for a reason, animal abuse and cruelty, poor living conditions and not being provided the appropriate vet care. That is not anyone’s fault but the person or persons in charge of the Wings operation. Also, from my actual fact checking, the State of Ohio records show Wings did not renew its 501c3 status in the past year as well as its business tax id. That means donations were illegally accepted by Wings Over The Rainbow since the lapse. That also means Wings no longer had the right to be a business. Are you going to deny that as well? If you’ve seen necropsy results then you know the real reason(s) why birds died and not one of those results states mishandling by the GDHS or anyone else on scene that day. You have supplied no basis for your accusations against mistreatment by GDHS or other parties, nor proven Ms Shell is innocent of the crimes charged against her or the ones she pled guilty to. If it’s name clearing you’re trying to accomplish you’re honestly going about it the wrong way. I have been volunteering at the shelter since this all took place and I have seen nothing but the utmost care given to these birds. As painful as it is that a rescue’s doors have closed, you know in your heart Wings was not providing all that was necessary for these birds. These birds needed help not afforded by Wings nor its volunteers and I would hope you would be thankful that there are people who care enough to volunteer their personal time to make sure the birds are being taken care of. Be thankful for the people who donated money for food and toys. Be thankful volunteers care enough to provide human socialization to them. Their care really could be so much worse. With regard to flirting with libel, it’s not libel when you admit pain pills were taken from the property. I had believed Wings was truly out to help birds… Deb would tell me she was doing this “virtually alone with little help” and how she “truly loved the birds.” During all this I learned she has a husband nobody previously mentioned and I heard the figures of what they took in last year…. easily enough to keep the heat on in the winter and feed the flock withotu crying poor begging for donations… and money people gave for the fixing of the van sacrificially… the van was never fixed. I have lost my faith in WOTR and it will not see another penny from me. I do not believe Deb should run another rescue, and I hear now she has changed WOTR’s name to Wings Rising. Will this just repeat in another year or two? I hope not! Whatever Avian Ambassador. I know what I read. Two words x 2: Danny’s tail. Ten dead. I find it amusing the Tale of the Tails as it were. Sher you have so often told your tales many times, so lets see the proof of the ten dead and what they died of. Please prove us all wrong. The fear I believe that you have is that if you post the true results it will just prove your own complicity to it all. Lets hear more about Deb Shell telling people about taking birds off Pellet and being in favor of an all seed diet. Is that wonderful diet of mice urine and feces flavored seed, with a dash of roach offered to the Birds of Wings Over The Rainbow.? It truly is a shame that you or any of that group have learned nothing. You are poised to do it all over again, and allow the next batch to suffer the same fate as well I fear. So I was wrong on the tail. I clearly believed what I said was true. No one corrected me until two days ago. I stand by what I said about the dead birds. I no longer have the documents so I can’t post them. As for the rest of your comments. They don’t deserve a response. Just innuendo and more mudslinging. So tell me Sher, what exactly did you want to happen out of all this because you obviously feel there’s no fault to place on WOTR shoulders? Have 137 or 127, whatever the count is, handed back to her, you and Wings? To a place that let them live with rodents, live and dead, and roaches. A place that struggled, at least on Facebook, to keep the doors open monthly but took in every bird brought through the doors? The birds at Wings didn’t receive regular or necessary vet care! There were little to no vet records pulled from there on May 10th so you’re telling me them suffering through whatever illnesses they have was better than at least yearly vet care? I believe your quote was “stress could bring out latent illnesses” wasn’t it? Oh well, Casey suffered didn’t he? Even before Wings took him in again. Didn’t you tell me you knew the abuse he was enduring with the owners but you couldn’t do anything about it? Yeah, you did! So again, the birds should have been handed over and left to endure painful neglect again for what? For someone to live off the donations because someone was benefiting and it damn sure wasn’t those birds! You guys have bragged you have the box of discovery so POST IT! You say you have the necropsies, POST THEM! If none of what the GDHS charged Deb with is true, then this shouldn’t be a problem. Clear WOTR name! People like Avian Ambassador, Bob, myself and others who’ve cared for these birds have posted facts as we lived through this yet you have nothing more to say than “whatever”. Great rebuttal! I was there at intake the day of the seizure. I saw the conditions of those birds and it was heartbreaking to see the shape of many of those birds! Others have stated the same things I saw but we’re all wrong. We know nothing. WOTR, Deb and yourself, as you were on the board, know better than everyone else, right? If you haven’t the decency to realize those birds were not taken care of then we can only pray for you. Thankfully, the birds are thriving. 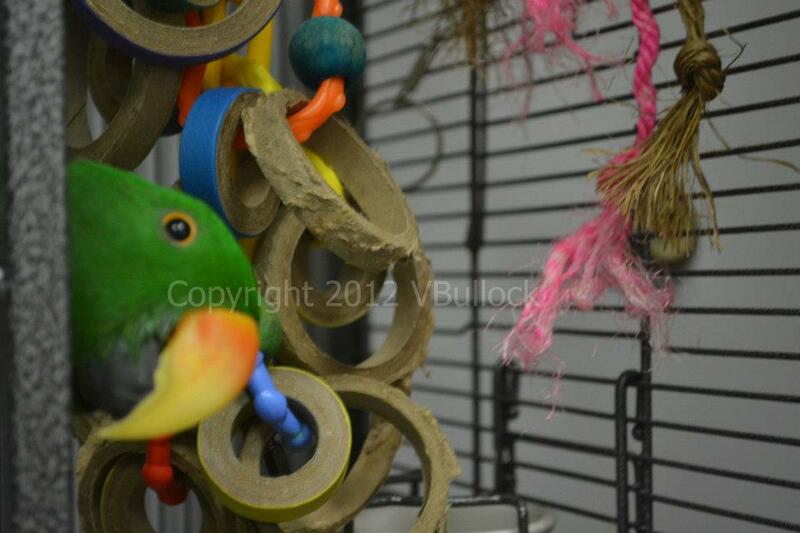 Yes, some birds have passed since May 10th and it’s a sad fact but I know they are no longer suffering and the remaining birds continue to improve and are being provided proper vet care, diet and toys. And what really ticks me off almost as bad as the denial from your camp? The fact that so many people have volunteered to care for these birds, medically, physically, emotionally and financially and you have no appreciation for that! My group raised money several times to provide them toys. 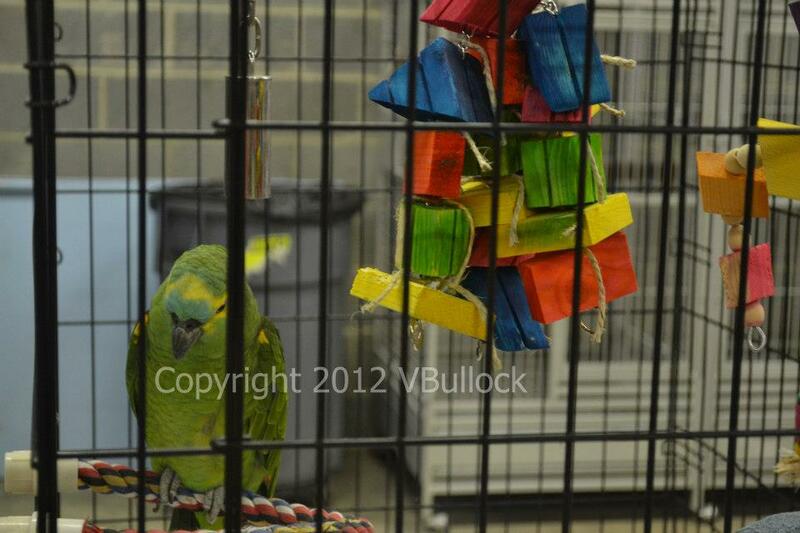 Parrot Posse raised several thousand dollars to provide for those birds. I’ve personally spent $400 of my own money to provide them toys. Let’s not include the mileage, wear and tear on my vehicle and lost family time to insure the birds are taken care of and all Wings has done is trash the Vets who PROVIDE DAILY CARE as well as the volunteers! Your lawyers wanted to sue us, the very people who have taken these birds under our wings. That is truly reprehensible! 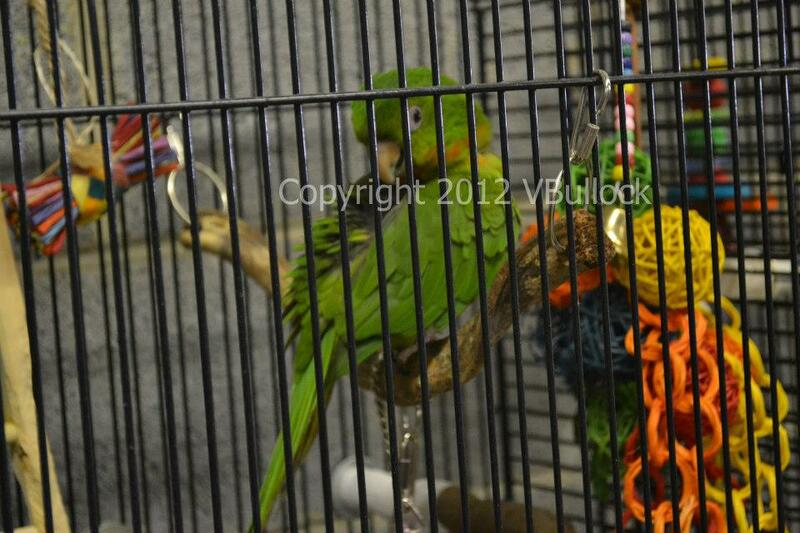 Oh, You say Danny ripped his tail feathers out while in the care of the GDHS? Then why did I pull a photo off of Wings dated May 6th, 2012, 4 days before the seizure and guess what? No tail then! Did he magically grow it back in 4 days?Don’t bother answering that because I posted Danny’s Intake Sheet and it clearly states he came in with NO TAIL! And Priscilla came in plucking too. Surprised you didn’t blame BJ and Ricky’s nakedness on GDHS while you were at it. Just learn from the mistakes, seriously!